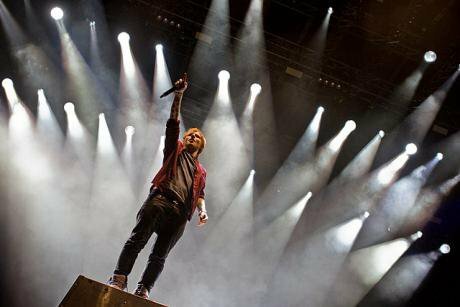 Ed Sheeran on stage at the Southside Festival in Germany, June 2014. Wikicommons/ Markus Hillgärtner. Some rights reserved.Every so often, moments come along when what seemed like a tinfoil-hat conspiracy theory is confirmed as true, and people are forced to say goodbye to the world they thought they lived in and adjust to the one they really lived in all along.